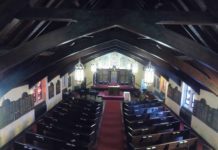 Earth’s landforms and scenery are just breathtaking: The sense of fulfillment a person gets by taking a photograph of Niagara Falls or the Grand Canyon cannot be replicated. The Earth contains beautiful shining oceans, magnificent mountains and vast forests containing humanity’s roots. But imagine viewing these features in a different way than we are used to, seeing the Earth from a completely different perspective that is foreign to just about every single person to have walked this Earth. Imagine seeing all of humanity, every ocean, every continent, from space. Mary Cleave, former U.S. Space Shuttle astronaut, recently helped to establish the Countdown to Apollo at 50 program, an 18-month project at the Cradle of Aviation Museum to honor the 50th anniversary of the first successful Apollo mission on July 20, 1969. 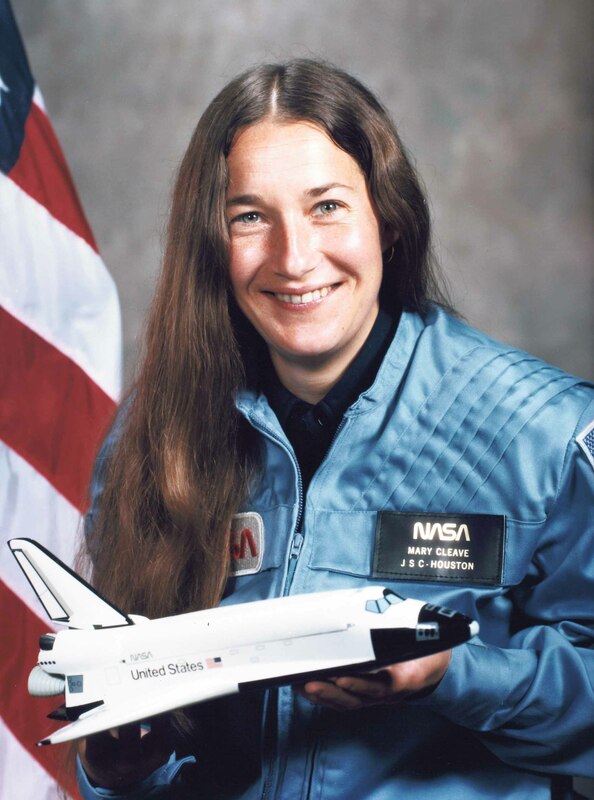 Cleave, who grew up in Great Neck, spoke at multiple press conferences, including one held at an assembly for more than 150 students on Long Island, to discuss her experience in space and her goals for the program. “We have an opportunity to create a renewed excitement for science and technology by celebrating the accomplishments of the Apollo program and inspiring a new generation of scientists, engineers and astronauts,” said a representative from the Cradle of Aviation Museum. 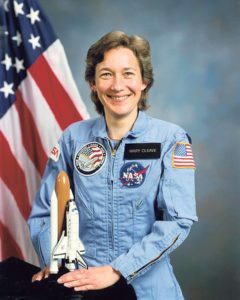 Cleave graduated from Great Neck North High School in 1965, receiving her bachelor of science degree in Biological Sciences, a master of sciences in Microbial Ecology and a doctorate in Civil and Environmental Engineering before landing the position of astronaut in 1980. 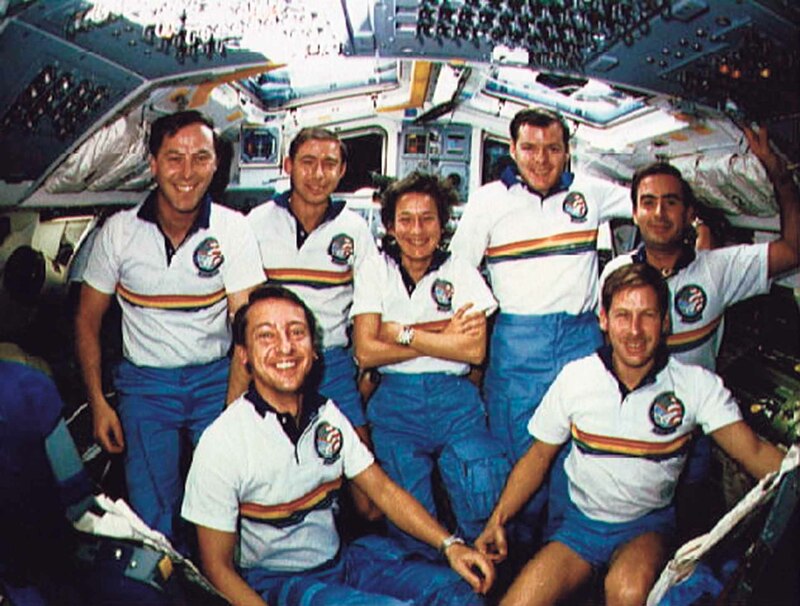 Cleave participated in the development of flight software verification for the Shuttle Avionics Integration Laboratory (SAIL) and performed technical work as a capsule communicator (capcom) for five Space Shuttle flights. Cleave, a veteran of two space flights, has logged a total of 10 days, 22 hours, two minutes and 24 seconds in space, orbiting the earth 172 times and traveling 3.94-million miles. 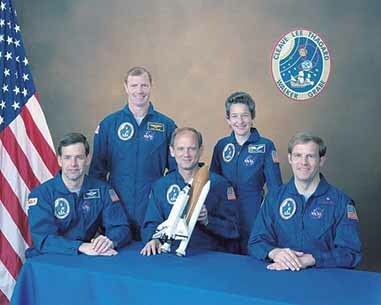 Astronaut Mary Cleave (center) is surrounded by her crew. 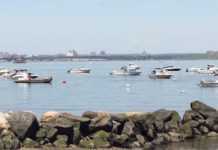 Long Island played a rather astronomical role in the development of Apollo 50 years early, prompting the Cradle of Aviation Museum and its partners to begin the event. Cleave, alongside a few other Long Island–based astronauts and museum staff, helped to introduce the program, which features a monthly speaker series featuring astronauts, writers, artists and engineers who were influenced by the Apollo program as well as a variety of educational programs and competition for middle and high school students. 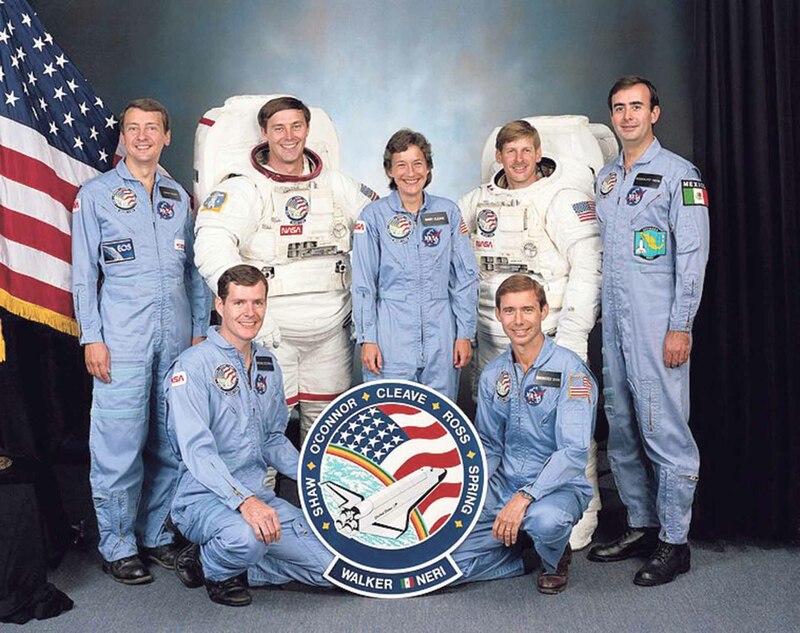 Cleave reflected that the program will be instrumental in shaping how future generations view space exploration and how older generations appreciate the work that a handful of astronauts from Long Island accomplished over the course of 50 years. Cleave hopes that her work and findings in space will impact not only the museum exhibits and lectures but also students across the globe interested in space, but lack the resources to grow their appreciation for space exploration.